Spring 2019 San Diego Exhibitions! I will have my work included in a number of San Diego group exhibitions as well as two upcoming solo shows. Here are some details about the great things that will be on view in each venue. I have two paintings in this fabulous alumni exhibition, in a brand new gallery space. 2/16-3/31 | Opening event: February 21, 2019, 5.30pm My newest piece is included in this extensive SDSU faculty and student exhibition. Here’s a sneak video peek of the installation (be sure to click through)! 2/16-3/31 | Opening Event: February 16, 6-8pm ($5 fee) I have a 7 panel, painting on paper in this exciting 21-artist exhibition curated by Carlos Castro Arias and Sarah Trujillo-Porter. MFA Thesis Exhibition, SDSU University Gallery 4/15-4/24 | Opening Event: April 19, 6-9pm The culminating exhibition for my MFA degree, simultaneous to a number of amazing peers. 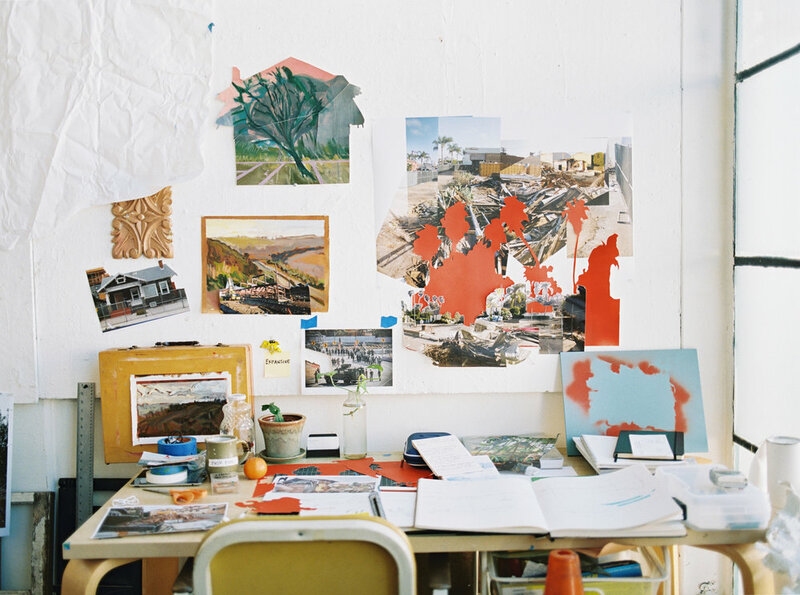 The SDSU School of Art & Design will host Open Studios on April 12, another great time to visit to see a lot of work! L’Atelier gallery will be hosting a showing of a select grouping of my works, many of which have never been exhibited. These works will be on view online simultaneous to the exhibition.